This is the third blog post in our three-part series on the award winning Delta House FPS. Read the first two blogs here and here. Weight control is a critical aspect of deepwater topsides development. In addition to ensuring that a floating production facility is safe and remains within allowable structural tolerances, effective weight management is essential to optimal selection of equipment, avoiding project delays, and overall design flexibility. On LLOG’s Delta House FPS in the Gulf of Mexico, operating flexibility wasn’t so much a luxury as it was a necessity. 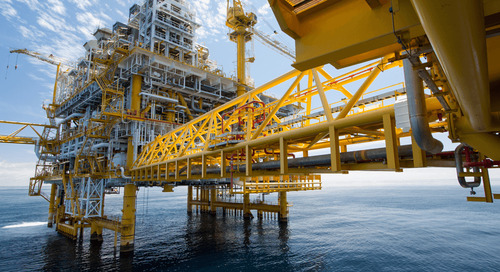 With no specific reservoir data to reference, design of the Delta House facility began before topsides equipment requirements were fully known. This made tracking weight and platform center of gravity (CG) a challenging task – one that required extreme precision and close coordination between contractors working on the project. 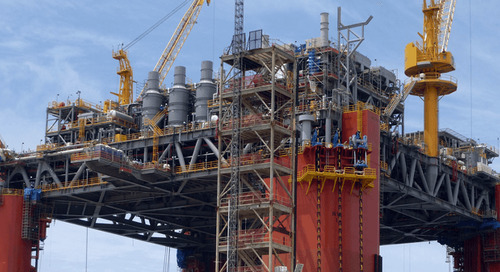 These tasks fell under the umbrella of the topsides engineering contractor, Audubon Engineering Solutions. 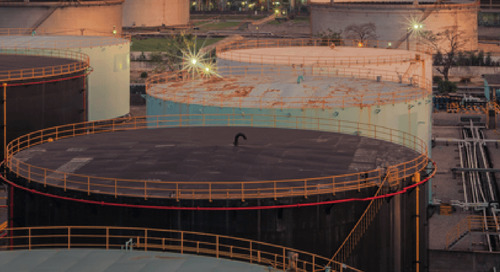 In addition to processing equipment and piping, Audubon Engineering Solutions tracked every single item on the FPS using Plant Design Management System (PDMS) software. From flanges, bolts, and hand rails, to food, waste, and other perishables. Even the paint/coating on piping and equipment was taken into consideration when calculating weight and CG. "The 9,561 short ton lift took roughly five hours and set a new weight record for Kiewit’s ’s HLD in Ingleside." This level of precision with regards to weight control required an extremely high level of coordination with other contractors, particularly the hull designer, EXMAR Offshore. 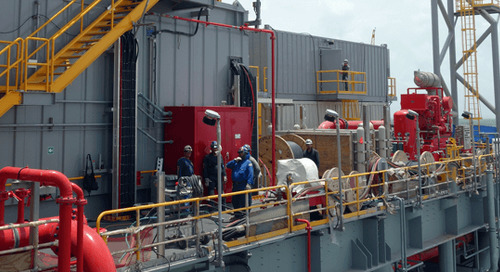 Audubon Engineering Solutions worked closely with EXMAR to address the total weight of the topsides and CG calculations. 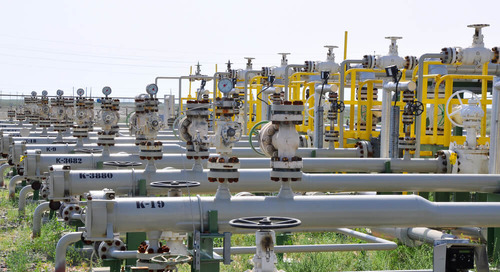 During the project, design flexibility was tested after pressure- volume-temperature (PVT) analysis indicated an unexpectedly large volume of natural gas liquids (NGLs) in the reservoir. This required the addition of new processing equipment, including a Condensate Stabilization System to meet sales pipeline RVP requirements. An aggressive weight management plan, coupled with close collaboration between equipment fabricators and EXMAR made this substantial design change possible without impacting the delivery schedule or preventing the FPS from achieving its payload goals. The new PVT data also allowed Audubon Engineering Solutions to more accurately track the fluid weight on the platform using actual fluid specific gravity values obtained from the analysis. In order to maintain design flexibility throughout the construction process, a weight contingency was included for every line item. 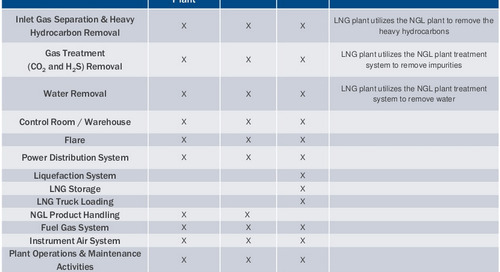 Contingencies were also developed for different segments/areas of the topsides platform based on each item’s individual progress.  This helped to ensure that the deck was not put out of its allowable tolerances if/when items came in heavier than anticipated and allowed for the possibility of adding new pieces of equipment throughout construction. In order to keep pace with LLOG’s highly aggressive project schedule, a single lift of the integrated structural deck and topsides facility onto EXMAR’s OPTI-11,000® semi-submersible was conducted at Kiewit Offshore Services’ 555-acre construction yard in Ingleside, Texas. Audubon Engineering Solutions had to keep the deck within the stringent lifting requirements of Kiewit’s Heavy Lifting Device (HLD), which had a planned 10,000 short ton lifting configuration for Delta House to account for the weight of rigging and safety factors. Holding the topsides CG within close tolerances allowed for lifting of the deck without overloading either of the booms. The 9,561 short ton lift took roughly five hours and set a new weight record for Kiewit’s ’s HLD in Ingleside. "Accurate prediction and management of the topsides' weight and CG throughout the design and construction of Delta House was critical to keeping pace with LLOG’s highly aggressive schedule." 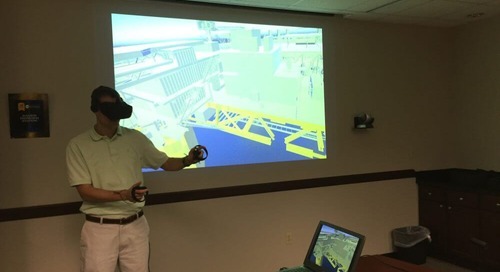 In addition to tracking CG of Delta House at the construction yard in Texas, weight calculations had to be performed under a number of different loading circumstances, including when the FPS was in transit, and when it reached its final destination in the Gulf of Mexico. Due in part to Audubon Engineering Solutions’ precise estimate for weight and CG, the platform Lightship Weight and Displacement Experiment was accepted by the United States Coast Guard (USCG) and LLOG’s Delta House platform was approved to sail. The experiment measures the total displacement of the hull to determine the overall platform lightship weight. During the test, weights are moved back and forth across the deck and measurements are taken to determine how far the hull has deviated or tipped from its original position. The exact weight and distance that the platform has tipped is then used to calculate the heeling moment. With this information, the overall vertical center of gravity of the platform can be determined. Developing a highly accurate estimate for weight and CG was critical due to the fact that if the lightship experiment determined that the platform was outside of the allowable limits, it would not receive USCG approval, thus it could not be sailed to its location in the Gulf. Had this occurred, weight would need to be reduced, which would have likely led to schedule delays and potential payload reduction depending on which pieces of equipment were removed. 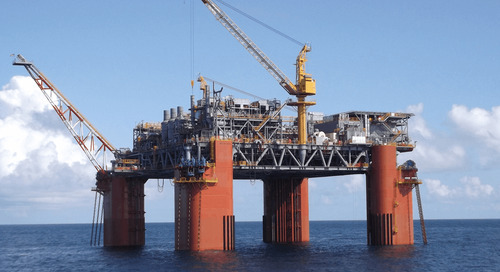 Accurate prediction and management of the topsides’ weight and CG throughout the design and construction of Delta House was critical to keeping pace with LLOG’s highly aggressive schedule of having the FPS fabricated and installed within 30 months. The facility reached its location in September of 2014 and produced first oil in April of 2015. Taylor Persac Gulotta, P.E. 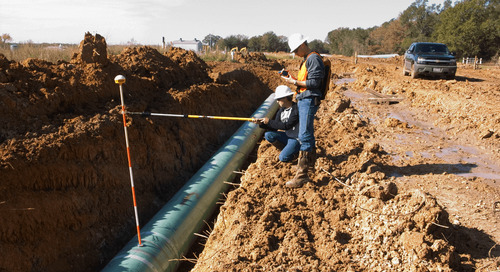 is a Project Engineer at Audubon Engineering Solutions and has over seven years of experience in the oil and gas industry. She has worked as a civil/structural engineer on a wide range of upstream and petrochemical projects, including multiple offshore platforms. Taylor served as Weight Control Engineer for the LLOG Delta House Project. She earned a Bachelor of Science in Civil Engineering from Louisiana State University.